Award winning, huge upright showy pink buds open to reveal large pink flowers with white centers, fragrant, superb cut flower. 2-4 flowers per stem, 100 days to force. Super hybrids from crossing oriental and trumpet lilies that have the best characteristics of both. Flowers are often similar in shape to the orientals but have larger flowers, improved vase life, shorter growing times, and improved resistance to disease. 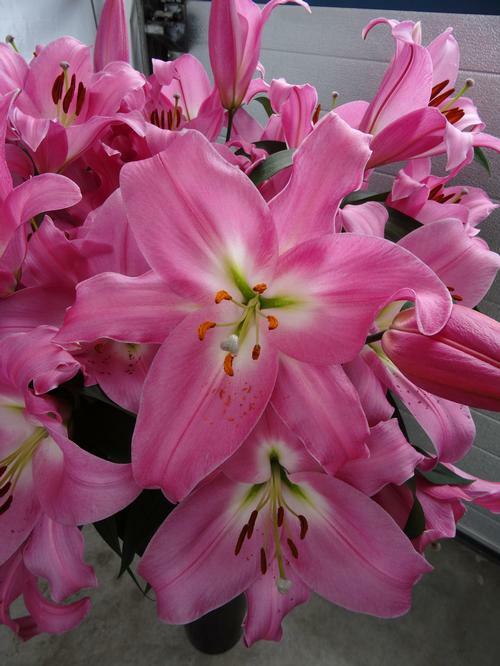 OT lilies also come in some very striking color combinations never seen before and a must in every garden.